The Global Scenario Group was convened in 1995 by the Tellus Institute and Stockholm Environment Institute to engage a distinguished and diverse international group in an examination of the prospects for world development in the twenty-first century. In the years since, numerous global, regional, and national studies have relied on the GSG’s scenario framework and quantitative analysis. 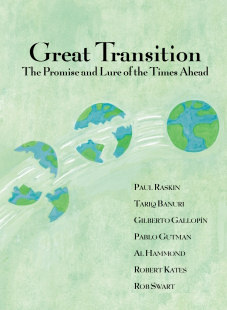 The Global Scenario Group synthesized its findings for a non-technical audience in: Great Transition: The Promise and Lure of the Times Ahead. The essay describes the historic roots, current dynamics, future perils, and alternative pathways for world development. It advances a Great Transition as the preferred route, identifying strategies, change agents, and values shifts for a new global agenda. 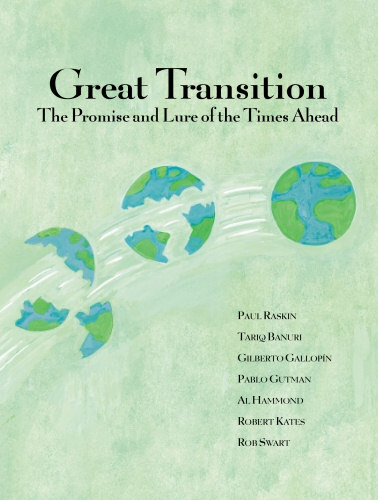 For a summary of updated results based off the continuation of GSG's scenario work, see the 2010 publication: Scenarios for the Century Ahead: Searching for Sustainability.